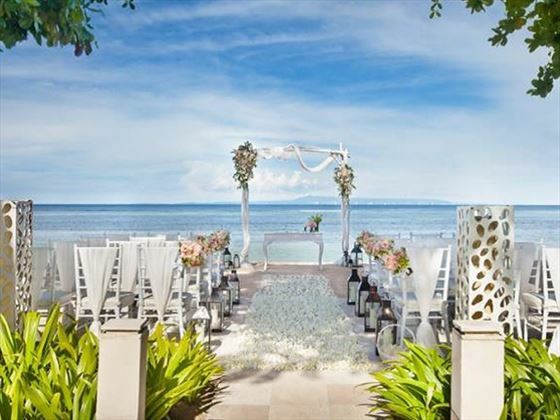 Nestled on Bali’s finest white sand beach overlooking the majestic Indian Ocean in the tranquil bay of Nusa Dua, the historic resort is renowned for its enchanting beachfront. The Laguna is a haven of relaxed luxury, catering to the world’s most discerning travellers. 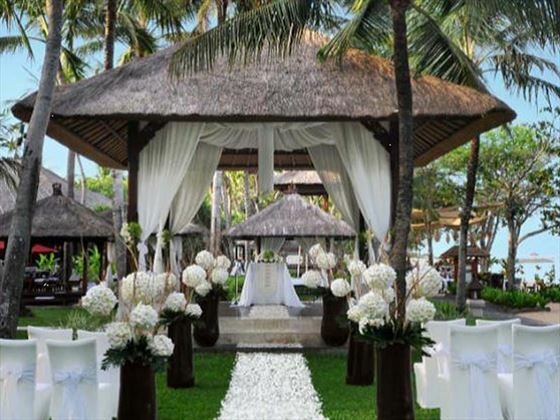 The 270 rooms and suites, furnished in a mix of traditional and contemporary Balinese design, offer unsurpassed comfort. Dining choices are enticing, day or night, whether enjoyed at a restaurant, bar or with the 24-hour butler service. Private spa, golfing and snorkelling also. 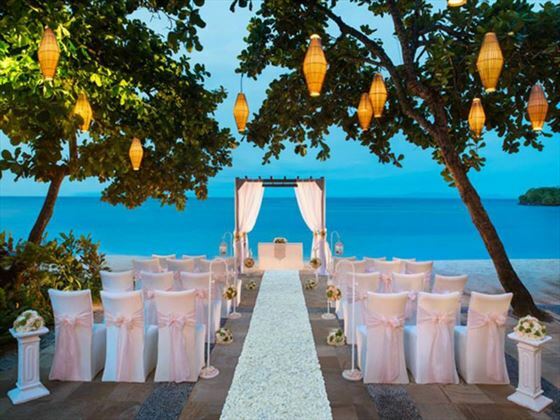 What more could you ask for at your wedding? Blazing flowers, soaring palm trees, shimmering lagoons - and, above all, dedicated and welcoming staff! 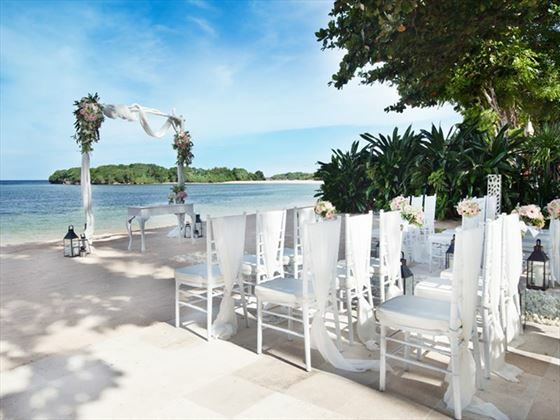 Choose from three wedding package, each with their romantic wedding settings. 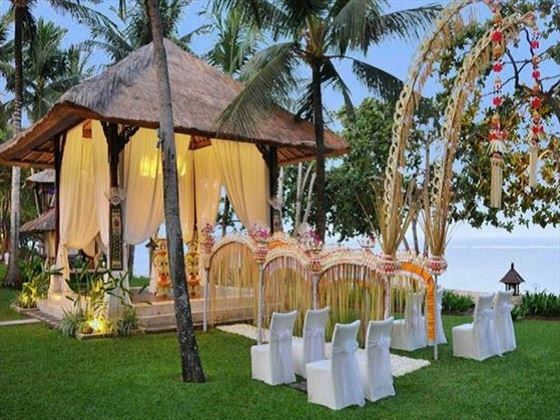 Select the Classic Wedding and choose between the Laguna Gazebo or the Temple Garden. 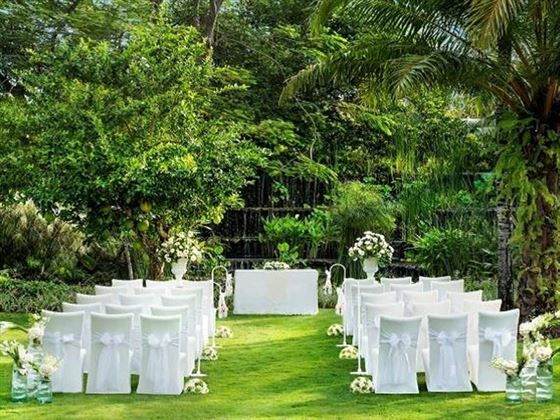 The Premier Wedding package has a romantic beach setting and the Luxury Wedding is an intimate venue at the Villa's Secret Garden.